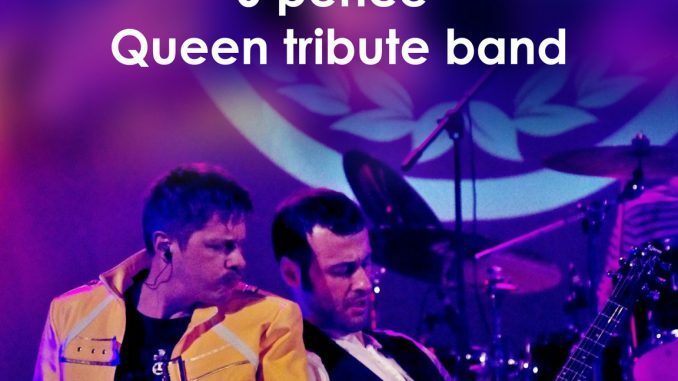 in Trieste, in 2010 the drummer Alessandro Colombo, pushed by the strong passion for the British group, meets Salvatore Spatafora, a musician deeply inspired by the guitars of Brian May and together they decide to go into what will become an important musical adventure. After the firsts lives in the small pubs of Trieste, in the summer of 2014 the event has finally launched the 6 Pence: a “live in Piazza Verdi” in Trieste in front of more than 3,000 people. The concert allowed the band to be known by many people and was also the occasion of the debut to the voice of Walter Bosello who astonished the entire square with his singing skills. 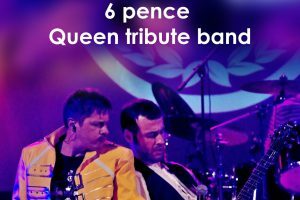 After this first great satisfaction follow two further training changes that bring the 6 Pence to the current final line up with Francesco Colucci on bass and Daniele Girardelli (Sinheresy) on keyboards, coming from two different musical situations but sharing the passion for the Queen. The group thus defined continues the series of live performances in which it proposes the hits and not only of the English band, with a careful dose of inspiration and through an instrumentation faithful to the original. In 2017 the show “Wembley ’86” debuted with the first performance at the Teatro Miela in Trieste, which saw a sold out already a week before the event. 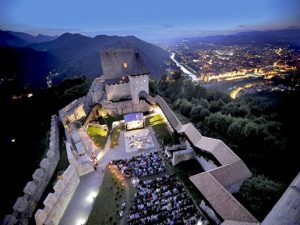 The band has embarked on a national tour in Italian theaters which has reached Brescia Padova Udine Mantova Venezia Grado in 2017 and 2018, which will be repeated in 2019.